Veuillez cliquer ici pour lire cette information en français. Bitte klicke hier, um diese Informationen in Deutsch zu lesen. 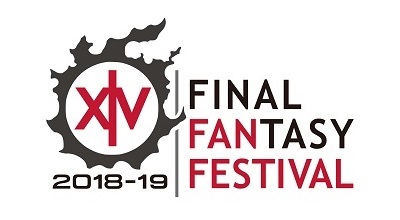 All ticket holders for the FFXIV Fan Festival 2019 in Paris will receive in-game item codes via email for the below items. Codes will be sent to the email address registered when purchasing your ticket on Eventbrite. In the event that you purchased multiple tickets registered to a single email address, you will receive multiple emails all containing unique codes. Follow these instructions to redeem your Fan Festival 2019 in Paris in-game item code. 2. Log in using your Square Enix Account. 3. Select Your Account from the top menu. 4. After selecting the service account for which you would like to redeem your bonus item code, select Enter Item Code. 5. Follow the on-screen instructions to enter your item code. 6. Items will be delivered via in-game Mog Letter. · Only one of each Fan Festival in Paris item code can be redeemed per service account. · A service account for FINAL FANTASY XIV must be registered to your Square Enix Account in order to use a bonus item code. · The bonus item codes can only be redeemed once. · Once registered, the bonus item codes cannot be removed from your service account. · Please do not lose your bonus item codes, as a replacement code cannot be issued. · The transfer or sale of these item codes by any means is strictly prohibited.